With the passage of the FAIR Education Act, we would like to offer some resources, lesson plans, and ideas for incorporating these standards into the classroom. FAIR Education Act Website. Offers lessons based on grade level and links to additional resources. 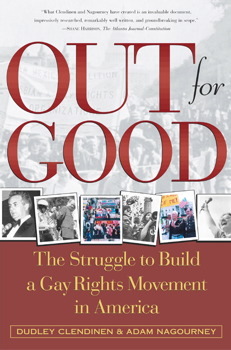 The Role of Gay Men and Women in the Civil Rights Movement. This series of four lessons highlights contributions to the Civil Rights Movement through the lens of important figures — James Baldwin, Lorraine Hansberry, Pauli Murray, and Bayard Rustin. Additional lessons for a variety of grade levels. Unheard Voices: Stories of LGBT History. This lesson easily weaves itself into a variety units. Looks at LGBT History from multiple perspectives and eras. The lesson opens with an excerpt from Ralph Ellison’s Invisible Man and helps teachers engage with Common Core Standards. View individual aspects of the lesson here. History of the Disability Rights Movement. This lesson is part of the “Equal Treatment, Equal Access: Raising Awareness about People with Disabilities and Their Struggle for Equal Rights” curriculum. Also available are lesson plans for elementary school, such as Experiencing Hearing Disability Through Music. Additional lesson plans from the ADL highlight racism, gender, and a host of other issues. The LGBT Pride Parade. A themed collection from Calisphere that chronicles the San Francisco Pride Parade. Engaging and unique images. Milestones in the American Gay Rights Movement. This timeline includes links to primary resources. DOMA and LGBT Commemorative Month. 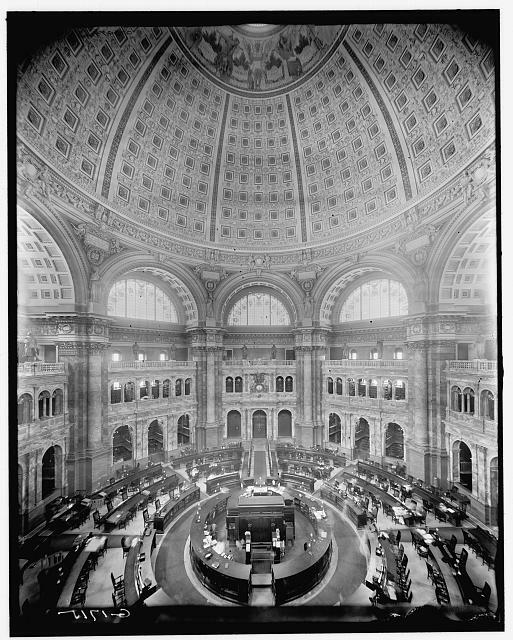 Short discussion of the Defense of Marriage Act (DOMA) from the Library of Congress blog. Disability History Museum. Searchable collection of images and documents relating to disability history. A World of Difference Institute: Recommended Multicultural & Anti-bias Books for Children. An annotated bibliography of grade level appropriate fiction books that address issues of Prejudice & Discrimination. Also available are lists concerning religion, customs, traditions, and more. This entry was posted in U.S. History and tagged civil rights, disability, LGBT, primary source, secondary source on October 10, 2013 by jbcosca. “New Constitution Sep. 17, 1787.” The Federalist banquet at ten tables, symbolizing the ten states that had ratified the new US Constitution by July 1788. Six thousand attended the New York City banquet celebrating New York’s ratification, 1788. September 17th is Constitution Day commemorating the signing of the U.S. Constitution by thirty-nine delegates. Constitution Day provides an opportunity to revisit this important document and spark student’s interest in citizenship. And your in luck! The National Constitution Center has put together some fabulous resources designed to get students thinking about the writing and ratification of the the Constitution. Separate lessons, documents, and online teaching tools designed for elementary, middle, and high school students provide a wealth of ways to fold Constitution Day into your lessons. Whether it be through Town Hall Walls, Meet the Founders, Yankee Doodle, or a Constitutional Duel, there are tons of grade specific resources available to create the perfect Constitution lesson for your classroom. Make a multimedia day of it with these online games and quizzes all about the Constitution. Ever wonder how the constitution would turn out if your students had to decide, the “Which Founder Are You?” test will tell you how many Washington’s, Madison’s, or Hamilton’s you have in your class. Link your immigration lesson to the Constitution with this online “Naturalization Test.” Student test their knowledge of the United States and see the types of questions new immigrants answer to gain citizenship. Or run for office with the “Headed to the White House” game. Students can either participate as a candidate, a campaign worker, or an active citizen. This entry was posted in U.S. History and tagged bill of rights, colonial era, constitution, lesson plan, multimedia on September 9, 2013 by jbcosca. The wonderful people over at the California Historical Society have a free eBook–Bridging the Golden Gate: A Photo Essay–that follows the creation of the iconic Golden Gate Bridge. Follow this link to get your FREE copy downloadable through iTunes. This photo essay and the digital collection at Calisphere provide amazing views of the bridge’s construction. Showing perilous catwalks workers used to navigate between towers and the enormity of the undertaking. For the elementary school classroom (or even the high schoolers to make them smile) try this great book, Pop’s Bridge by Eve Bunting. The story follows Robert’s father and his adventures as a “skywalker” building the bridge. This entry was posted in U.S. History and tagged culture, Great Depression, Industrialization, transportation, twentieth century on May 29, 2013 by jbcosca. Wild West Shows, circus acts, and spectator sports such as baseball, football, and tennis filled leisure time at the end of the nineteenth century. The Barnum & Bailey Shows even began to highlight cycling in their acts. Try this lesson plan from EDSITEment! for ideas on “Having Fun” nineteenth century style. Or this issue of “Central Illinois Teaching With Primary Sources Newsletter” all about the circus. National Bicycle Exhibition, Madison Square Garden, 1895. Cartoon: Tennis and women in the 1870s. This entry was posted in U.S. History and tagged advertisements, bicycle, Circus, culture, nineteenth century, society, sports, Wild West, women on May 15, 2013 by jbcosca. National Bike Month is halfway over, but there is still time to join in! This week we bring you ideas for “drop-in” lessons or ways to incorporate this fun and approachable topic into your classroom. Engage students in a discussion of technological advancements of the 19th century. With the communication and transportation revolution coupled with the emergence of the factory and more sophisticated farming equipment, how did these changes transform life for ordinary citizens? See this lesson from EDSITment! for suggestions on activities and documents. For more primary sources on the early bicycle visit “Gearing Up for Bike Month with Primary Sources” from the Library of Congress. Ad for Columbia Bicycle Co., Hi-Wheeler, 1886. “Washington Meet of the League of American Wheelmen” Frank Leslie’s Illustrated Newspaper, 1884. This entry was posted in U.S. History and tagged advertisements, bicycle, culture, Drop-In Lesson, Industrialization, New Woman, nineteenth century, society, women on May 13, 2013 by jbcosca.